Today, I was contacted by clients to locate a sewer odor that they believed was caused from the septic system in Reeds Spring, MO. 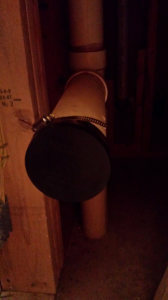 To begin with we located the septic clean-out plumbing pipe access between the house and the septic tank. From there, we observed water flow from the clean-out access while running water through various fixtures and flushing toilets. This was to determine if there was anything clogging the lines inside the home. Check out our Plumbing Service for more information on our related services. Our next approach was to determine if there was any apparent blockage in the lateral lines or septic tank. Without any excavation necessary, we continued our diagnostic process of the lateral lines and septic tank. Our results helped us conclude that there was no apparent blockage of any flow within the drainage system. All was flowing as it should. Next we looked for any dry fixture traps and loose or broken pipes that were easily visible. 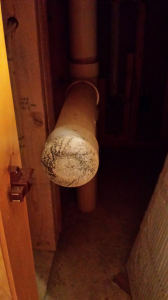 An unsealed clean-out access in the basement was located and we noticed it had a loose cap. We made certain to install a new cap that was both air and water tight. This step will also prevent leakage into the house. We also installed a new wax gasket on a toilet where an additional sewer gas leak had been detected. A few hours later, the homeowners called to inform us that the odor was dissipating. If you require septic system maintenance or related plumbing services in Reeds Spring, contact us for professional service.